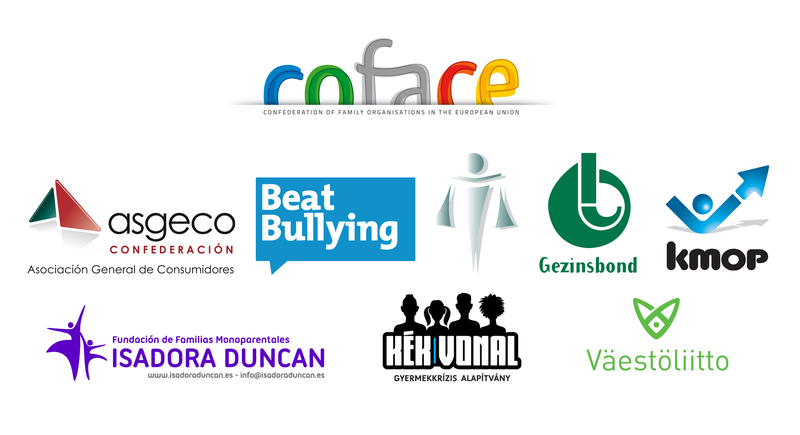 COFACE is coordinating eight partners from different European countries, who share the same interest, namely to raise awareness to the issue, develop some tools to help prevent, and make early intervention possible, as well as to empower victims. There is already knowledge about what this phenomenon is, and what can be done, but we as COFACE are bringing in the new element, which is the communication within the family about this issue, examining the role of parents and other family members, as well as looking at the family situation, and how some may be more conducive to allowing children to fall victims to Cyberbullying than others. The partners will examine existing research, studies and survey results to establish the framework for cyberbullying in Europe (forms, risks, symptoms, impact/harm, solutions). Design and develop awareness raising and educational tools for children, young people, parents and all other stakeholders to increase their understanding of the risks related to cyberbullying. Build on existing partnerships and networks to distribute the tools to schools, parents associations, family organisations, local, regional and national authorities. Prepare policy recommendations (school curricula, protection of children, safer internet) both at national and European level. Use media to spread the campaign as widely as possible. Organise at least 1 kick-off and 1 closing conference, with project meetings.